We’re the Friends of Falkirk War Memorial. We’re raising money to extend and refurbish the existing War Memorial in Dollar Park – and we need your help. The existing memorial was unveiled in 1926 to remember the 1100 local men who died in World War I. Sadly – unlike other local memorials – it doesn’t name the war dead, or the 450 others who died subsequently in World War II. We want to properly Remember Falkirk’s Fallen. Read Ian Scott’s article about the memorial, and our campaign, here. The Friends aim to have all the local war dead named at the site. 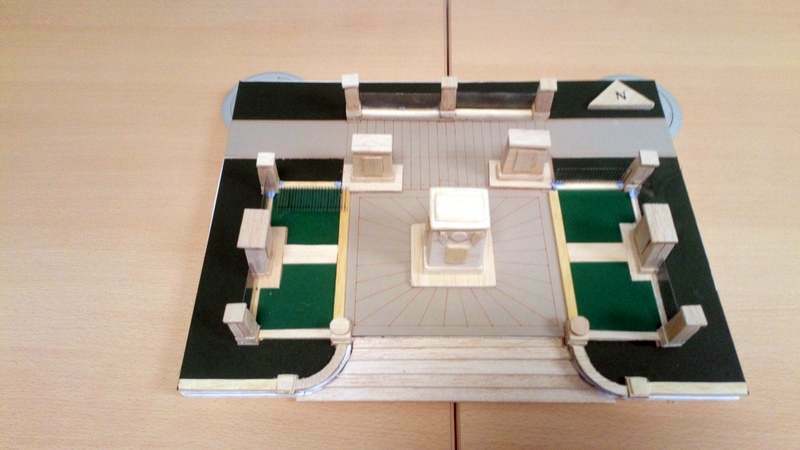 We’ll do this by sensitively extending the current memorial site and adding further structures with plaques. See a model of our plans (opens in new tab). Our work also aims to make the site more accessible from Dollar Park itself (currently access is only via the main pavement outside) and also improve access for people with mobility issues. We’ll need to raise around £130,000 to carry out the work. We’ve got ambitious plans and hope to refurbish and extend the War Memorial in time for the Remembrance Sunday in November 2019. With your help – and the support of external funders – we think we can make that a reality. Some of Falkirk’s heroes that we want to honour. You can share this web page with friends and colleagues. Just letting more people know about our campaign is a big help. You can “like” our Facebook page and share content from it. Remember to add your name and address and a contact number. Thank you. You can also give money to the campaign or fundraise for us. Email us at the address above with your details. All donations – big or small – will help. Ian Scott, Morris Robb, Douglas Cameron, Gary Bouse, John Patrick, Jim Bain and Provost Billy Buchanan. We would welcome others who feel that they could contribute their skills and time. Support has also come from Falkirk Council – which owns the park – from Friends of Dollar Park and the Argylls Association, as well as many individuals. Falkirk High School and most of the primary schools in the Falkirk area have pledged to get involved in research concerning those who died. Read our entry on the charity regulator OSCR website.